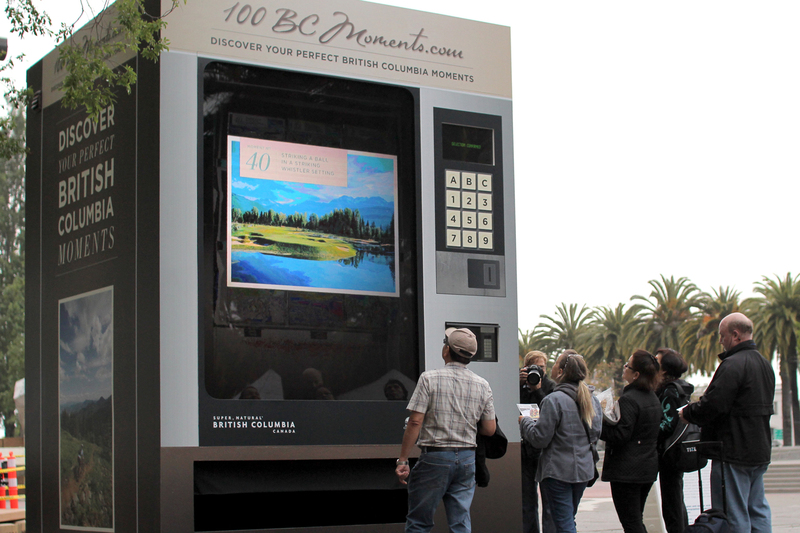 Tourism British Columbia and Citizen Optimum worked with The Media Merchants to create a 14-foot-tall, 10-foot-wide vending machine designed for residents of San Francisco residents. 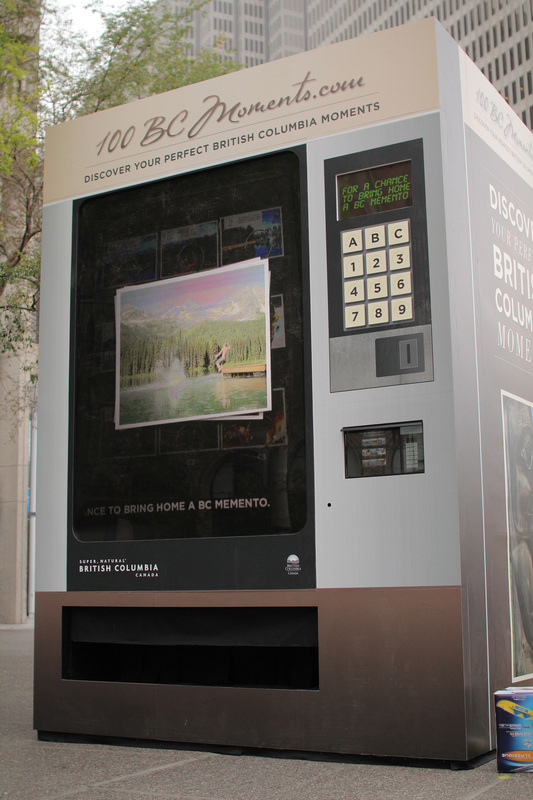 Those who interacted with “The BC Moments Machine” were rewarded with highly valuable mementos from British Columbia, including real kayaks, mountain bikes, golf clubs and surf boards. The BC Moments Machine is a component of the ongoing “100 BC Moments” cross-media campaign from Tourism British Columbia which is actively encouraging travelers to experience everything BC has to offer this summer. TMM designed the BC Moments Machine to run from one powerful production server feeding four screens: A 22″ touch screen, a 22″ messaging screen, a very bright 6′ x 8′ rear projected screen for the large vending display and an internal admin screen. 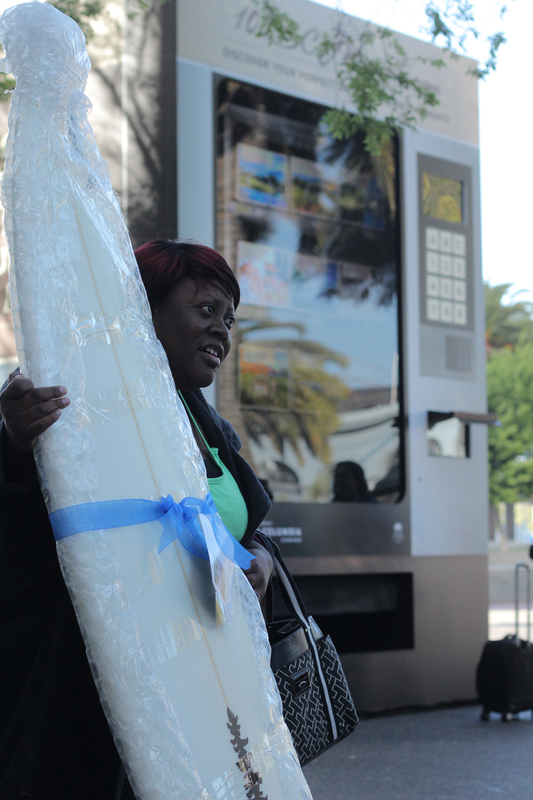 The system runs a custom application developed in Open Frameworks and features a real-time inventory management system that prevents users from selecting out-of-stock items. 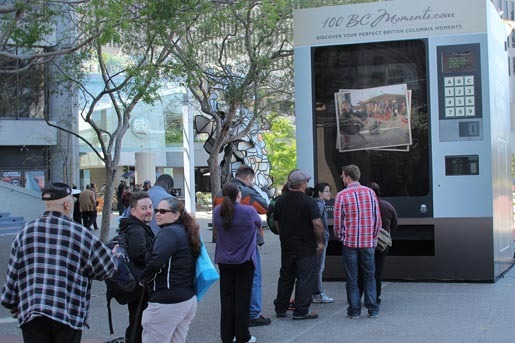 To get maximum punch on its vending display in such a tight enclosure, the team used a Christie S+ 20K projector and a custom mirror system that reflects imagery onto the external screen.